These are the best travel credit cards of April 2019. Continue below our top picks section for an explanation of each card's benefits and potential drawbacks. Earn 100,000 bonus points after spending $5,000 on eligible purchases within the first three months of account opening. 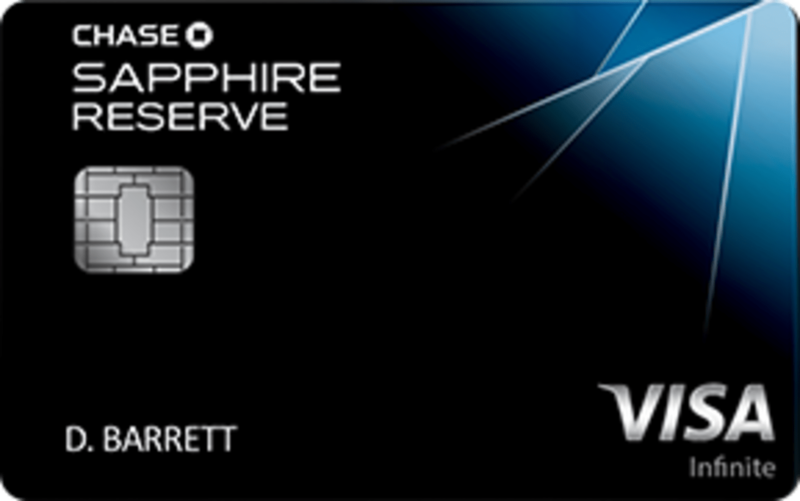 Why we like it: The Chase Sapphire Preferred® Card is our top choice for most travelers due to its sign-up bonus, earning potential and affordable annual fee. You'll earn 2 points per dollar on dining and travel purchases and 1 point per dollar on everything else. Plus, you can boost your points earning potential on non-bonus category spend by adding a Chase Freedom Unlimited® to the mix, which will net you 1.5 points per dollar on all purchases. This card is also a great choice for people looking to get into the world of points and miles. The $95 annual fee isn't outrageously expensive, and you'll be earning flexible points in the form of Chase Ultimate Rewards. Under this rewards program, you'll be able to transfer your points to 13 travel programs, including United and Southwest. Plus, you'll get a 25% bonus when you redeem your points for travel. Potential deal-breakers: If you can't stomach the thought of paying for the privilege of a credit card, then you'll be better off with a no-fee travel card, like the Wells Fargo Propel American Express® Card or Discover it® Miles. The $95 annual fee is no longer waived for the first year, but the welcome bonus is now 60,000 rather than 50,000 points. However, you'll need to make sure that your regular spending habits allow you to meet the $4,000 spending requirement to earn the welcome bonus. 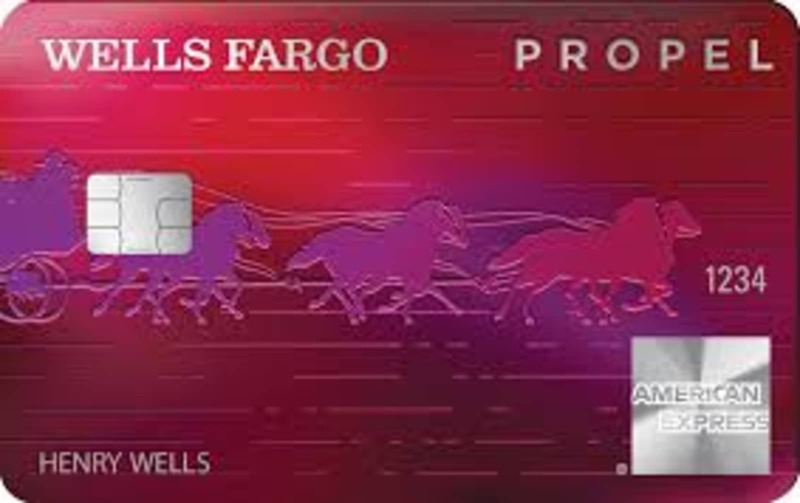 Why we like it: The Wells Fargo Propel American Express® Card is far-and-away the best rewards credit card on the market without an annual fee. It comes with a welcome offer worth up to $300—one of the best we've seen for a no-fee card—and 3X points per dollar on a ton of common spending categories, which include eating out and ordering in; gas, rideshares and transit; flights, hotels, homestays, and car rentals; and popular streaming services. If you spend money on just about anything related to leisure, travel and entertainment, this is a great card for you. From a travel perspective, the Wells Fargo Propel American Express® Card is the rare card that's equally as rewarding for the international frequent flyer as it is for the casual weekend trekker. The card charges no foreign transaction fees when spending money abroad, which is a huge bonus for a card without an annual fee. Most rewards card without an annual fee charge 3% of the purchase price on foreign transactions. Potential deal-breakers: If you're looking for premium perks, the Wells Fargo Propel American Express® Card won't provide much value there. It's a great card for earning points on your regular spending, but it doesn't come with lounge access, Global Entry or TSA Pre-Check. As such, if you're a frequent flyer or business traveler who wants these benefits, consider adding a luxury card to your wallet like the Chase Sapphire Reserve® or the The Platinum Card® from American Express if you don't already have one. Why we like it: The American Express® Gold Card is a travel rewards card designed for foodies. With the card, you'll earn 4X points per dollar at U.S. restaurants and supermarkets (on up to $25,000 in purchases per year), plus 3X points per dollar on flights purchased directly with airlines. If you spend your weekends hitting the top eateries around your state, or if you prioritize going to the best restaurants across the U.S. while on business trips, this is the right choice for you. 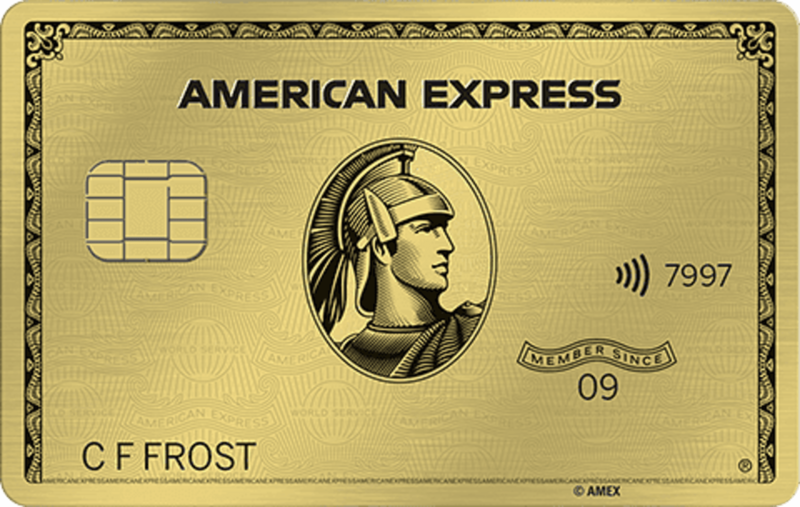 Frequent air travelers will also do well with the American Express® Gold Card. It earns 3X points per dollar on plane tickets purchased directly with airlines or through the American Express travel portal. In addition, the card comes with $100 in annual airline fee credits, which you can select to use at one major airline. Potential deal-breakers: This card only earns 4 points per dollar on restaurants and supermarkets that are in the U.S., which makes it less competitive with the Chase Sapphire Reserve® for international travelers. If you mostly travel within the U.S., this shouldn't be an issue. The American Express® Gold Card does, however, come with zero foreign transaction fees, which is a positive for people who make frequent purchases abroad. 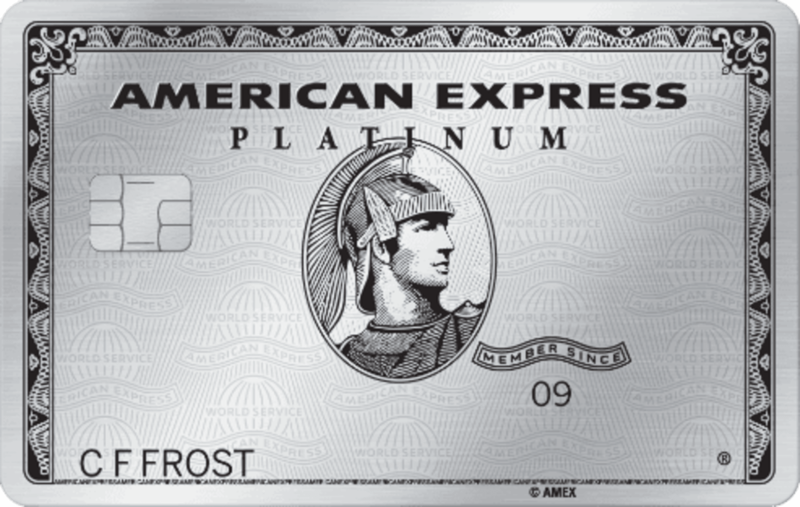 Another consideration for potential applicants is the American Express® Gold Card's $250 annual fee (See Rates & Fees). To get the full value of the card, you should make use of the $10 monthly restaurant credit and $100 airline fee credit (worth up to $220 annually). If you can max out both of those, the annual fee will essentially be $30, which you can make back in rewards with a combined $750 in annual spending on restaurant and supermarket purchases. Why we like it: With an unlimited 2X miles per dollar on every purchase, the Barclaycard Arrival Plus® World Elite Mastercard® makes our list as the best flat-rate travel card. 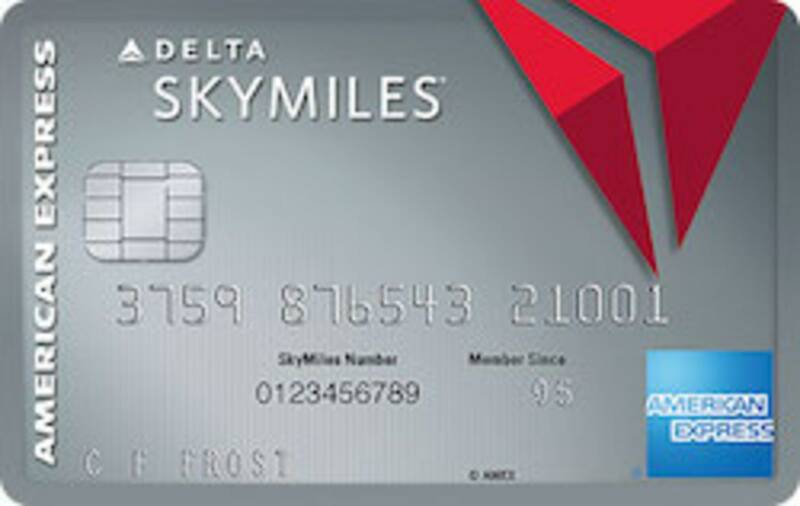 The card effectively earns a 2.1% rewards rate, given that you'll get 5% of your miles back each time you redeem. 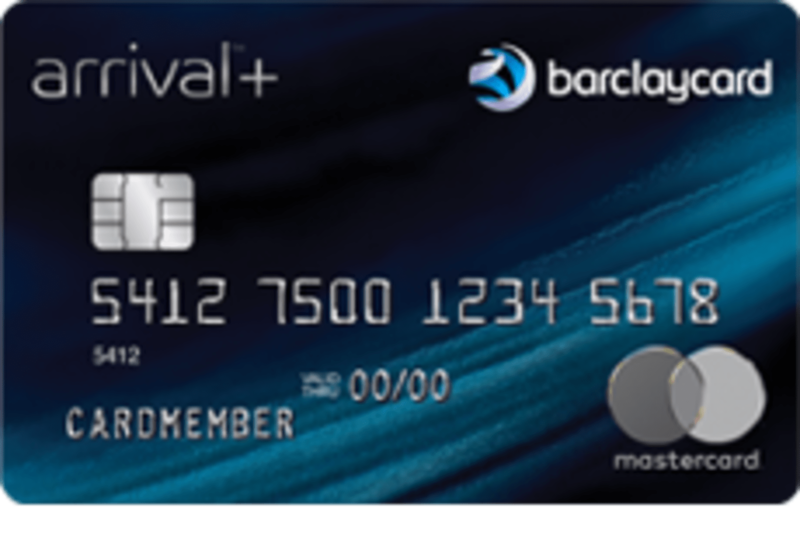 This makes the Barclaycard Arrival Plus® World Elite Mastercard® one of the most rewarding flat-rate cards out there, especially with no foreign transaction fees and an annual fee under $100. Plus, you'll get a welcome offer of 70,000 points, worth $700 toward travel, after spending $5,000 in the first three months. Potential deal-breakers: The $89 annual fee on the Barclaycard Arrival Plus® World Elite Mastercard® likely won't be worth it for people who don't travel internationally. Because there are other cards like the Citi® Double Cash Card that earn 2% back for no annual fee, the $89 per year fee on the Barclaycard Arrival Plus® World Elite Mastercard® essentially pays for the 0% foreign transaction fee benefit. In the long term, considering the 70,000 point welcome offer, the card is best for people with over $3,000 in international expenses per year. Why we like it: Similar to the Barclaycard Arrival Plus® World Elite Mastercard®, the Capital One® Venture® Rewards Credit Card is another great flat-rate travel card that earns 2 miles per dollar on every purchase. The $95 annual fee is waived the first year, and you won't have to pay any foreign transaction fees. The Capital One® Venture® Rewards Credit Card recently gave cardholders the ability to transfer their points to 12 travel loyalty programs, making this card a serious competitor with the popular Chase Sapphire Preferred® Card. One of the main draws to the Capital One® Venture® Rewards Credit Card is that it awards 10 miles per dollar to hotel stays booked through hotels.com/venture. 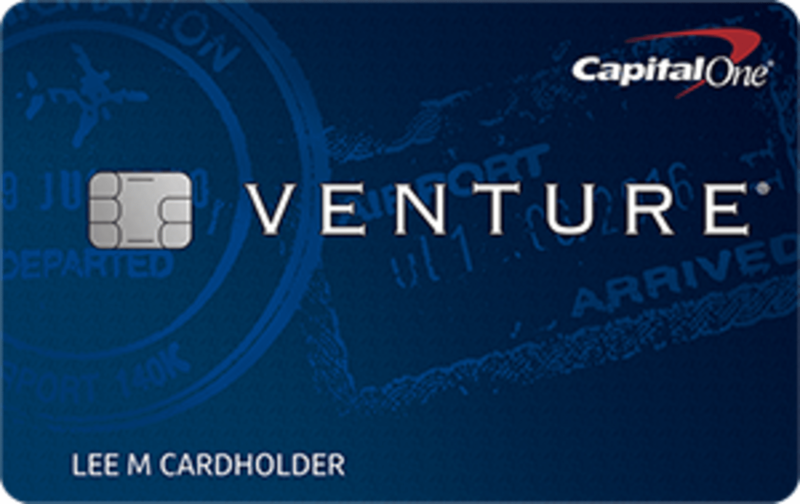 If you're a frequent hotel guest and don't want to be limited by the single-program constraint of a co-branded card, the Capital One® Venture® Rewards Credit Card is a great choice. Potential deal-breakers: As of now, the travel partners Capital One has added to its transfer program aren't as useful for U.S. residents as those of American Express and Chase. While the other issuers give you the option to transfer to programs like Southwest, Delta, United and Marriott, you'll be stuck with international airlines like Alitalia, Cathay Pacific and Etihad if you go with the Capital One® Venture® Rewards Credit Card. The ability to transfer Capital One points to airlines is relatively new, so hopefully the options improve in the near future. Why we like it: Behind the Wells Fargo Propel American Express® Card, the Discover it® Miles is our second favorite no-fee travel card. The card has a straight-forward earning structure and welcome bonus that make it a great card for the casual traveler who prefers simplicity: 1.5 miles per dollar on all purchases, and all of the miles you earn will be matched at the end of the first year. 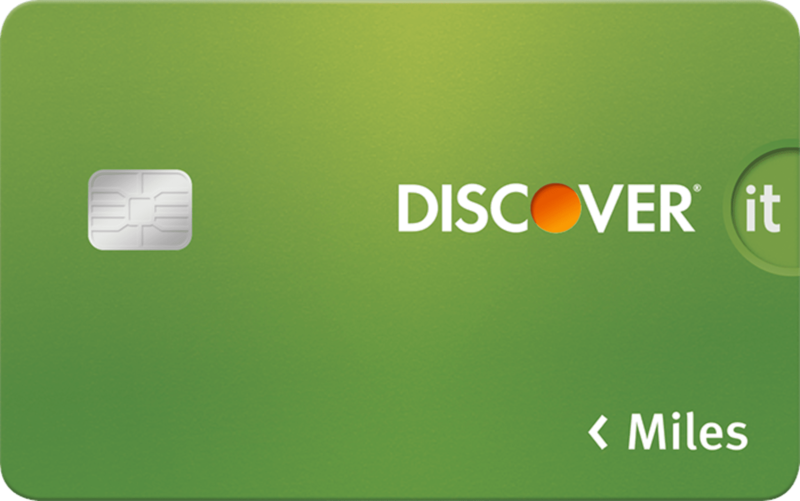 Potential deal-breakers: The Discover it® Miles doesn't come with any real perks or benefits. Plus, the "miles" this card earns can only be redeemed for travel as statement credit—there are no transfer partners like with other travel cards. If you're looking for perks or the ability to transfer your miles, we suggest going with the Chase Sapphire Preferred® Card, Barclaycard Arrival Plus® World Elite Mastercard® or Capital One® Venture® Rewards Credit Card. Otherwise, this is a good card for beginners. 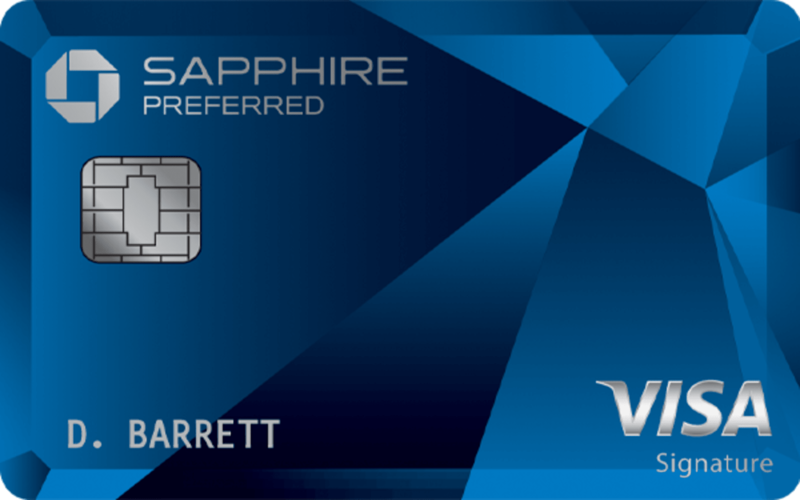 Why we like it: The Chase Sapphire Reserve® is a top credit card for travelers who value perks. The card comes with Priority Pass lounge access, Global Entry and TSA Pre-Check fee credits and a $300 annual travel credit. You'll also have great points-earning power with the Chase Sapphire Reserve®: 3X Ultimate Rewards points per dollar on dining and travel worldwide and a 50% points boost when you redeem through the Chase travel portal, which gives you a 4.5% rewards rate in the bonus categories. Potential deal-breakers: The perks and earning potential of the Chase Sapphire Reserve® come at a cost. Not all travelers can justify paying the $450 annual fee, especially since the pared-down Chase Sapphire Preferred® Card is offered at $95 per year. However, you'll effectively be paying a $150 annual fee if you can use the $300 travel credit each year. This means you'll break even on the card with between $3,000 and $5,000 in combined dining and travel purchases per year, depending on how you redeem your points for travel. 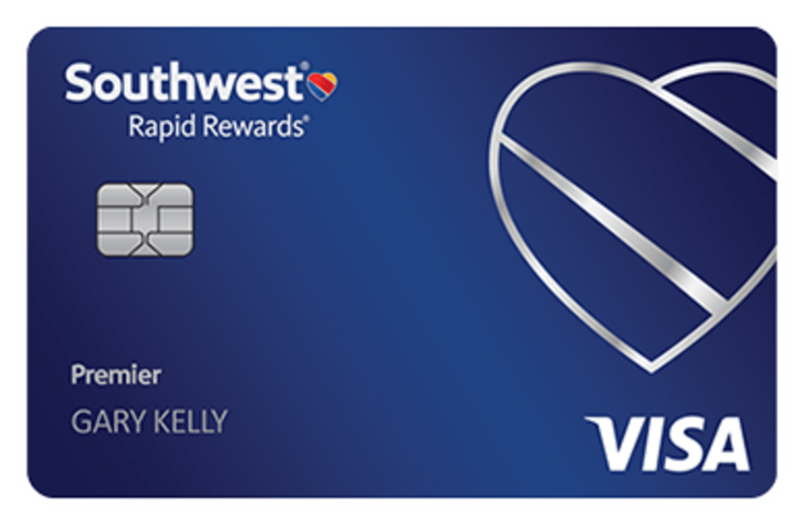 Why we like it: For frequent flyers of Southwest Airlines, the Southwest Rapid Rewards® Premier Credit Card is the best co-branded card with a reasonable annual fee. For $99 per year, you'll earn 2 points per dollar on Southwest purchases and 1 point per dollar on all other purchases. Plus, you'll earn 6,000 anniversary points each year, a $60 value, which lessens the burden of the annual fee. This is a great time to commit to Southwest, as the airline is gearing up to run flights to Hawaii. Another great reason to get the Southwest Rapid Rewards® Premier Credit Card, or any of the Southwest cards, is the potential to earn a Companion Pass, which allows you to designate someone to travel with you for free on your Southwest itineraries for the remainder of the year in which you earn the pass and the next calendar year. You need to earn 110,000 Rapid Rewards points in a calendar year to qualify, and the welcome offer on this card (40,000 points after spending $1,000 in the first three months) can help you get there. Potential deal-breakers: This card won't provide much value if you don't use Southwest Airlines. For more flexibility with redeeming your miles, we'd suggest a general travel credit card that lets you transfer your points to multiple airlines. The Southwest Rapid Rewards® Premier Credit Card also won't be worth an application if you're looking to earn the Companion Pass but don't spend enough to earn the 110,000 points. If you're on a budget, go with a no-fee card like the Capital One® Venture® Rewards Credit Card or Wells Fargo Propel American Express® Card. Why we like it: The Platinum Delta SkyMiles® Credit Card from American Express is a good card for Delta frequent flyers who value their Medallion status. You'll earn 2 points per dollar on Delta purchases, 1 point on everything else, and will benefit from a host of travel perks like an annual companion certificate, free checked bag on each flight, priority boarding and a 20% discount on in-flight Delta purchases. Plus, you can earn up to 20,000 MQMs toward elite status with the card each calendar year: 10,000 for $25,000 in annual spending, and 10,000 more for $50,000 in total annual spending. Potential deal-breakers: Even if you're a Delta frequent flyer, the $195 annual fee (See Rates & Fees) on the Platinum Delta SkyMiles® Credit Card from American Express can be quite steep. Whether or not the card is worth it primarily depends on how much you value the travel perks and the potential to earn MQMs. If you fly Delta a lot but rarely check bags or make in-flight purchases, you're probably better off with a different card. However, if you're a big spender who values MQMs, then this is a great card for you. 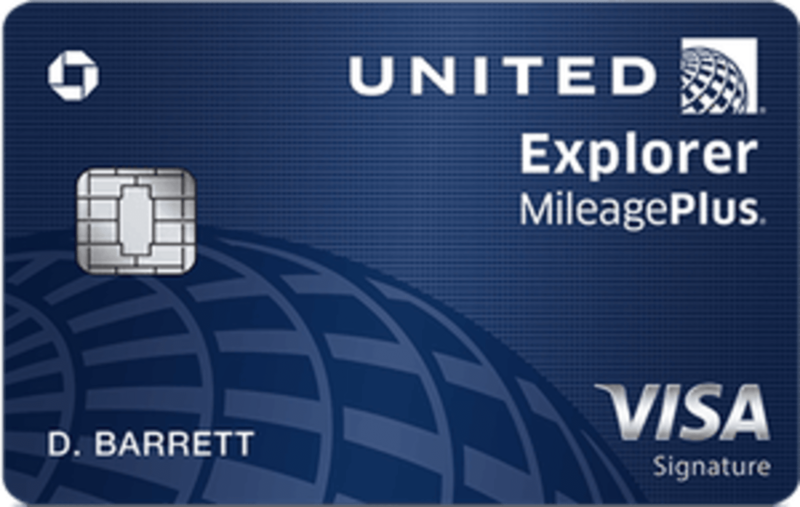 Why we like it: The United℠ Explorer Card is one of the strongest co-branded cards with an annual fee under $100. For $95 per year, the card earns 2 miles per dollar on restaurants, hotels and United purchases—most co-branded cards don't give you rewards on both hotel and restaurant spending—plus it offers a comprehensive list of travel benefits. You'll get a Global Entry and TSA Pre-Check fee credit, a free checked bag for you and a travel companion and a 20% discount on in-flight purchases. Potential deal-breakers: Unlike the Platinum Delta SkyMiles® Credit Card from American Express, this United offering won't help you earn elite status. As such, it's best for the United frequent flyer who cares about perks and points—if you're okay with only redeeming your points with United or other Star Alliance airlines. Otherwise, a flat-rate travel card like the Barclaycard Arrival Plus® World Elite Mastercard® or Capital One® Venture® Rewards Credit Card will be more rewarding. 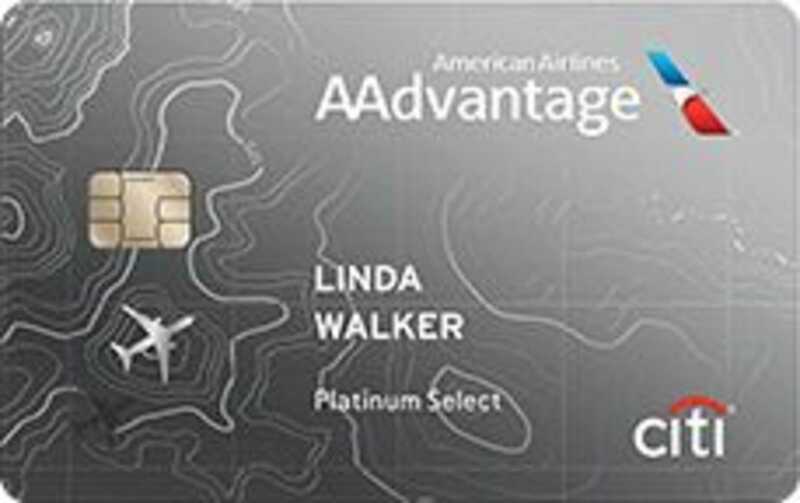 Why we like it: The Citi® / AAdvantage® Platinum Select® World Elite™ Mastercard® is the rare co-branded airline offering that provides travel perks as well as spending rewards in useful categories. On top of priority boarding, a free checked bag for you and up to four companions and a 25% inflight purchase discount, you'll earn 2 miles per dollar on American Airlines purchases and at gas stations and restaurants. Potential deal-breakers: Compared to rival offers from United and Delta, this card lacks in the perks department. There's no Global Entry fee credits or points boost toward elite status. However, if you're comparing the Citi® / AAdvantage® Platinum Select® World Elite™ Mastercard® against general travel cards in the sub-$100 price range, its comes down to how often you fly American. Go with the Barclaycard Arrival Plus® World Elite Mastercard®, Chase Sapphire Preferred® Card or Capital One® Venture® Rewards Credit Card if you won't take advantage of the in-flight discounts and free checked bags. Why we like it: The Platinum Card® from American Express is the ultimate luxury travel credit card, and it comes with a list of premium perks that justify its stellar reputation. For starters, you'll earn an industry-leading 5X points per dollar on hotels booked on amextravel.com and on flights. You'll also benefit from $200 total in annual Uber credits, a $200 airline fee credit, a Global Entry or TSA Pre-Check fee credit and access to the Amex Global Lounge Collection—which includes 1,200 airport lounges. Potential deal-breakers: The $550 (See Rates & Fees) annual fee matches the list of perks. If you can max out the Uber and airline fee credits each year, then the effective annual cost of the card is $150. Regardless, $550 is a substantial sum to pay upfront every year. As such, you should only commit to this card if it's within your budget, and you know that you can use the credits and travel benefits with your current lifestyle. Keep in mind that this is a charge card, which means that you need to pay your balance in full every month. If you can't afford or justify the price tag, consider as alternatives the American Express® Gold Card and Chase Sapphire Reserve®, which has a more useful $300 annual travel credit. Why we like it: With the recent merger between Marriott, Starwood and Ritz-Carlton, the Marriott Bonvoy brand is now home to hundreds of attractive properties. With the Marriott Bonvoy Brilliant™ American Express® Card, you'll earn 6 points per dollar for purchases at eligible Bonvoy properties, 3 points per dollar at U.S. restaurants and on flights booked directly with airlines and 2 points per dollar on everything else. The card also comes with a free night award, complementary gold elite status and a $300 annual Marriott Bonvoy statement credit. Potential deal-breakers: This card is purely designed for Marriott loyalists, as the $450 annual fee (see rates & fees) is prohibitive for most. The purpose of this card is to earn Marriott points and get benefits at Marriott hotels, so there's no real value for the casual traveler. If you often stay at hotels but aren't committed to one brand, consider the Capital One® Venture® Rewards Credit Card for its 10X miles on stays booked through hotels.com/venture. 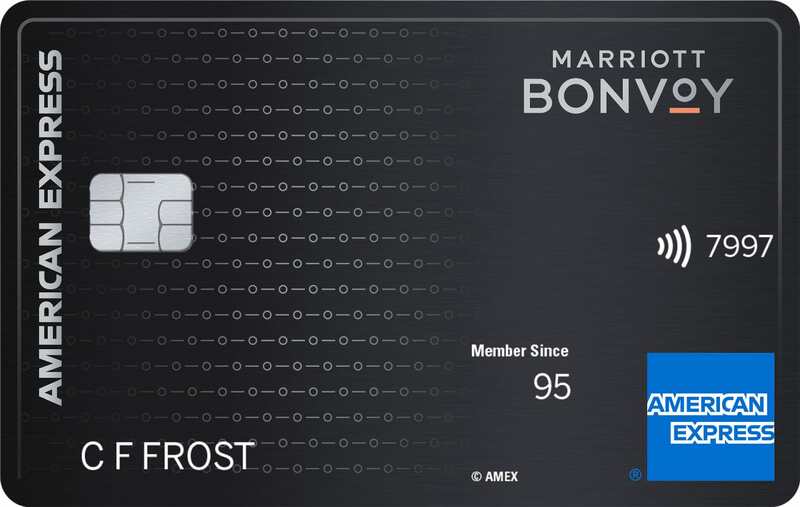 The information related to the Marriott Bonvoy Brilliant™ American Express® Card has been collected by ValuePenguin and has not been reviewed or provided by the issuer of this card prior to publication. Why we like it: The Capital One® Spark® Miles for Business is our top travel card for small business owners for its simple and rewarding earning structure: you'll earn 2X miles on everything, with no cap on the number of miles you can earn. You can also boost your earning potential by getting free cards for your employees. Miles can be redeemed as statement credit or transferred to Capital One's travel partners. Potential deal-breakers: The Capital One® Spark® Miles for Business comes with a $95 annual fee and not a whole lot in the way of perks. If your business spends under $50,000 per year, consider the no-fee The Blue Business℠ Plus Credit Card from American Express, which earns 2X Amex Membership Rewards points on up to $50,000 per year. 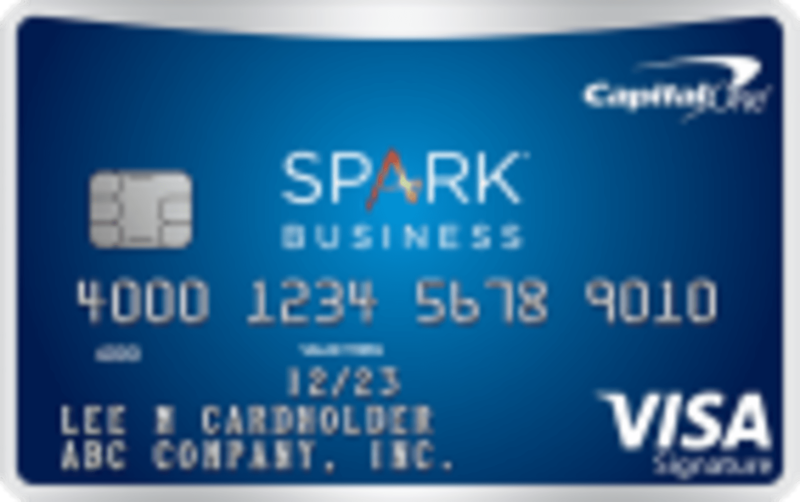 With its $95 per year price tag, the Capital One® Spark® Miles for Business will only earn you more than the The Blue Business℠ Plus Credit Card from American Express once your spending exceeds roughly $60,000 annually. If you're new to the world of travel credit cards and rewards, the first thing to know is that there are options for a variety of profiles. For the infrequent traveler who makes the occasional cross-country trip to visit family, there are no-fee cash back options. A business traveler who makes monthly stays at Marriott properties might prefer a co-branded hotel card, and an ultra-frequent international flyer would benefit most from a travel rewards card that earns points that can be transferred to different airlines. One important decision to make when choosing your travel card is whether to get one that earns cash back, transferable points or program-specific rewards. Cards that earn cash back or transferable points are best for people who have unpredictable travel or who prefer flexibility. For those who always fly with the same airline or stay at the same hotel chain, a co-branded card that earns points within one loyalty program may be the right choice. Ultimately, the best travel credit card for you will depend on your spending profile and frequency of travel. It's important to note that cards with the most travel benefits and highest rewards potential have annual fees that start around $100. You can determine whether this is worth it for you based on how much you spend and how often you'd use a perk like Global Entry or airport lounge access. You can also see how cards perform for your budget by using our comparison tool.